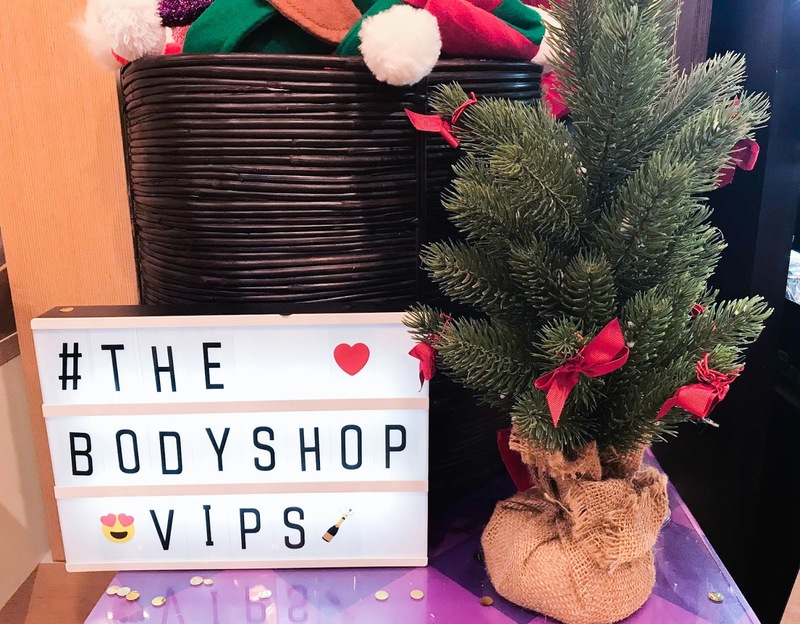 The other week, I was very kindly invited along by Katie and James to spend the evening at The Body Shop in Chichester for their Christmas Blogger event. I seem to be on a roll with events at the moment, but this one I was particularly excited for! We were greeted with a glass of prosecco and as the traffic made me late, I had to sneak in and try to catch up with what the staff were talking about. 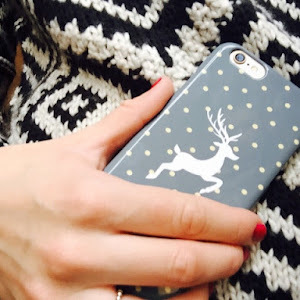 They were super enthusiastic, friendly and you could tell they were really passionate about the brand! 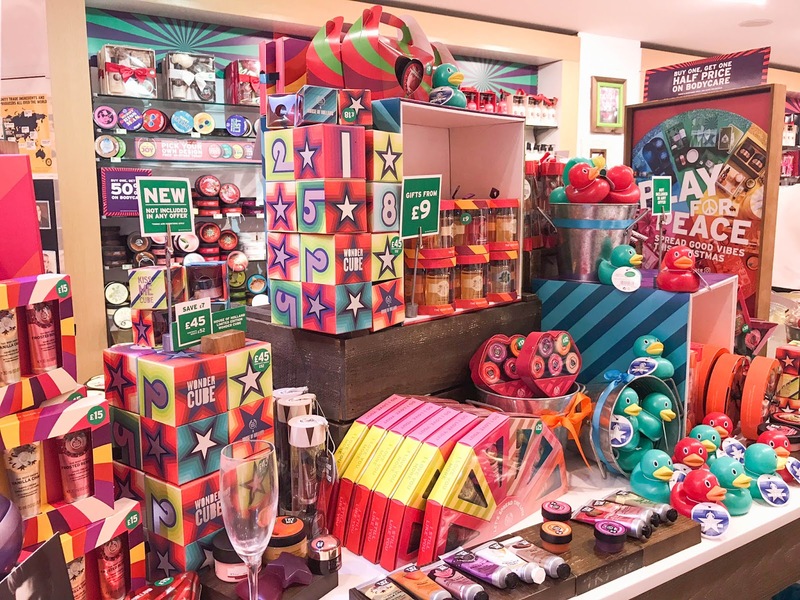 I love The Body Shop all year round, but their seasonal products have really taken it to the next level this year. 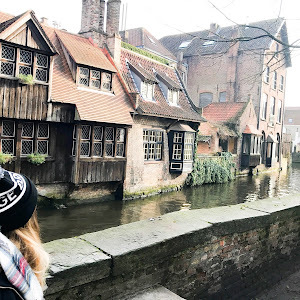 At the start of Autumn, we saw the release of their limited edition Vanilla Pumpkin range which was incredible and seemed to go down a storm in the blogging community. 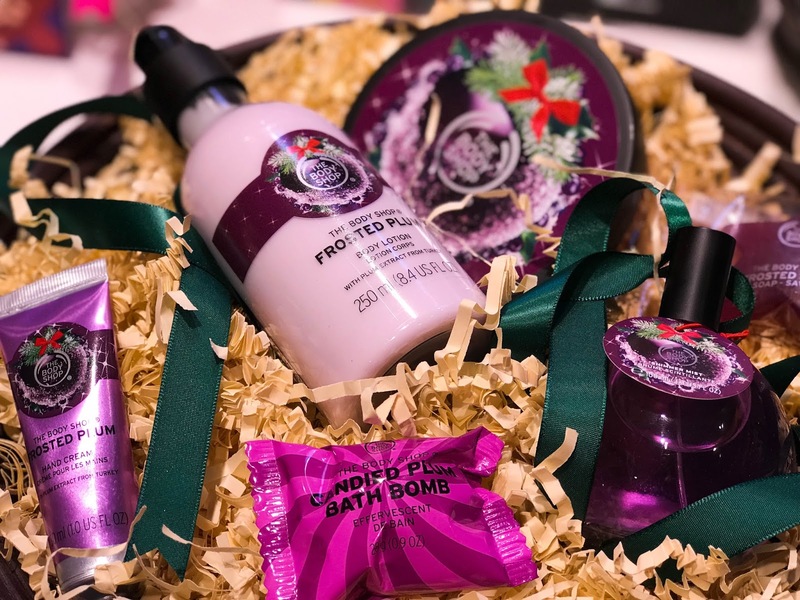 As for Christmas stuff, I noticed that the Vanilla Chai & Frosted Berries ranges had made a comeback this year, and the Spiced Apple scent from 2016 had been replaced with Frosted Plum. They all smell amazing and there is a scent to suit everyone. 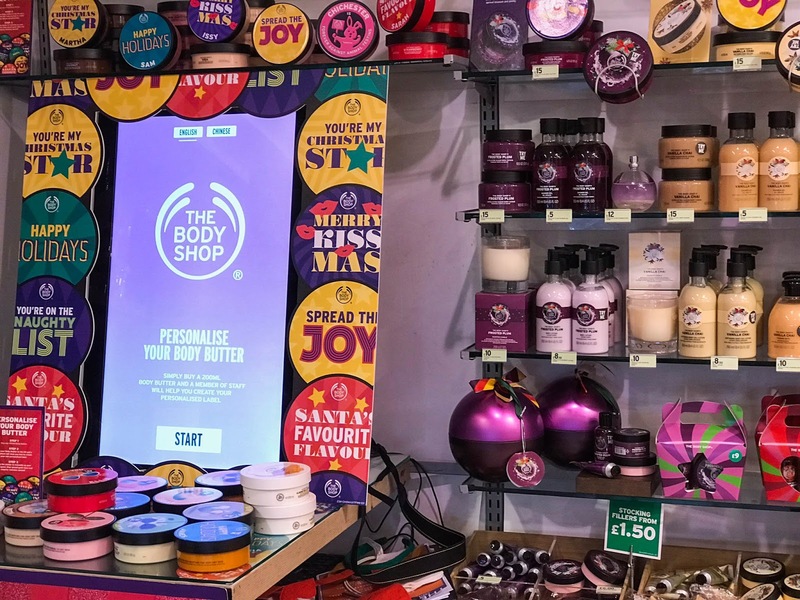 This year, The Body Shop are really focussing on their products being fun - so much so they are selling actual rubber ducks! 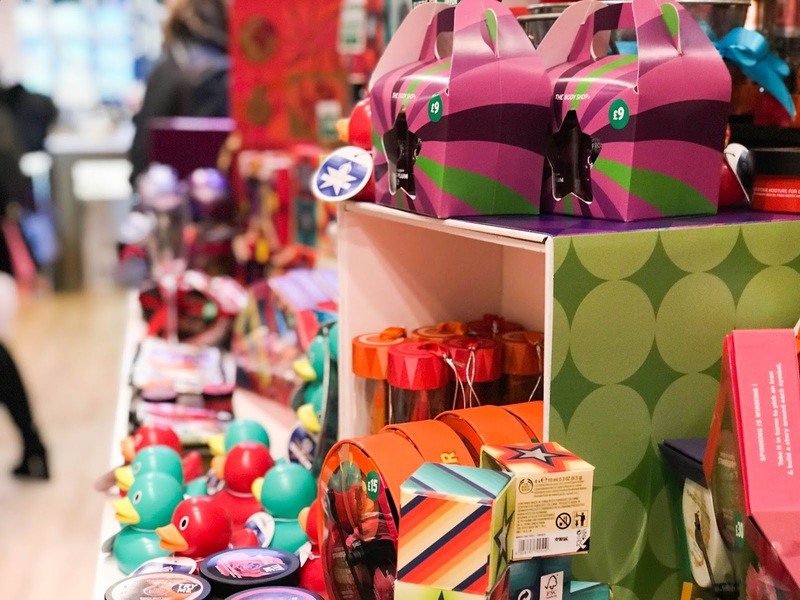 Not just that, their gift sets have improved and come in all shapes and sizes - some even have little games built into them! To be honest, that's enough to bring out the big kid in anyone and makes the perfect stocking filler! Remember when The Body Shop were sold to L'Oreal? Well, this is now not the case! They have now been bought by Brazillian cosmetics brand Natura Cosmetics. 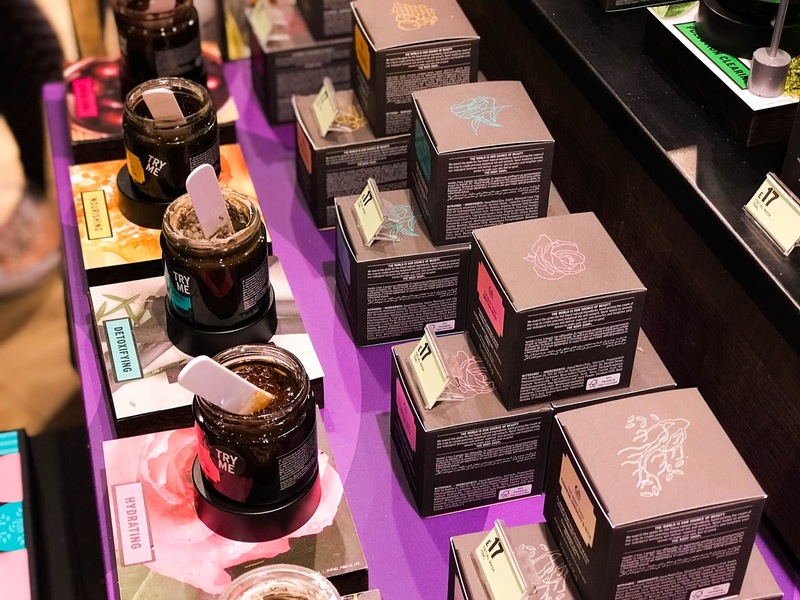 Natura are much more in line with The Body Shop's ethics and will be more beneficial to them as a brand to help them grow more internationally. 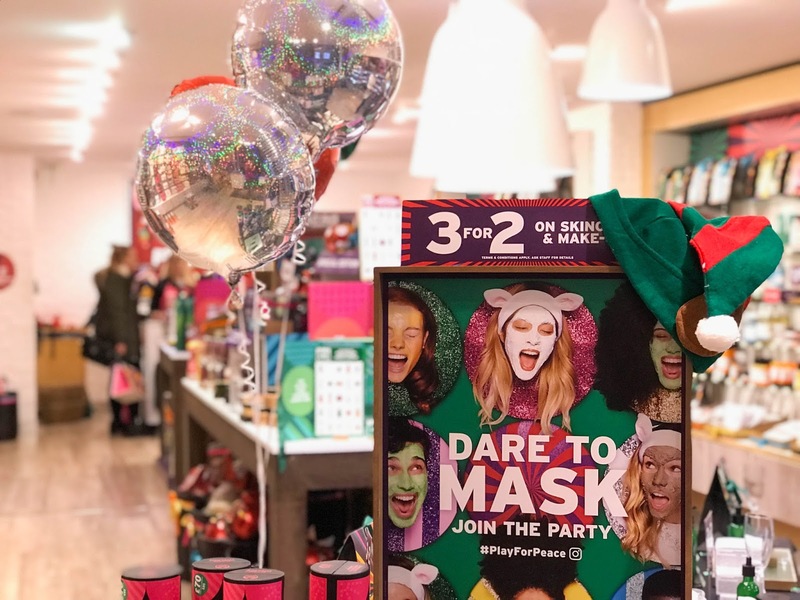 It's pretty much common knowledge that The Body Shop are a cruelty-free brand, but did you know that they were the first ever brand to get the certified bunny logo in their stores? This was news to me and very interesting to know! 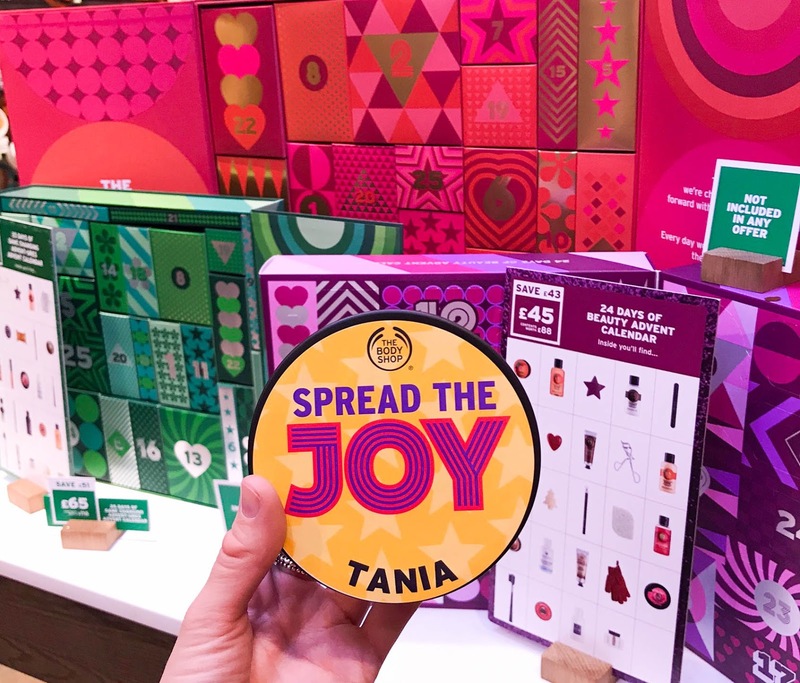 Whilst gawping at the advent calendars in the store, we actually found out that The Body Shop started the beauty advent calendar trend! I've always really wanted one of their calendars because they look incredible and I know for a fact their products aren't ones to disappoint - maybe one year I will cave and buy one! 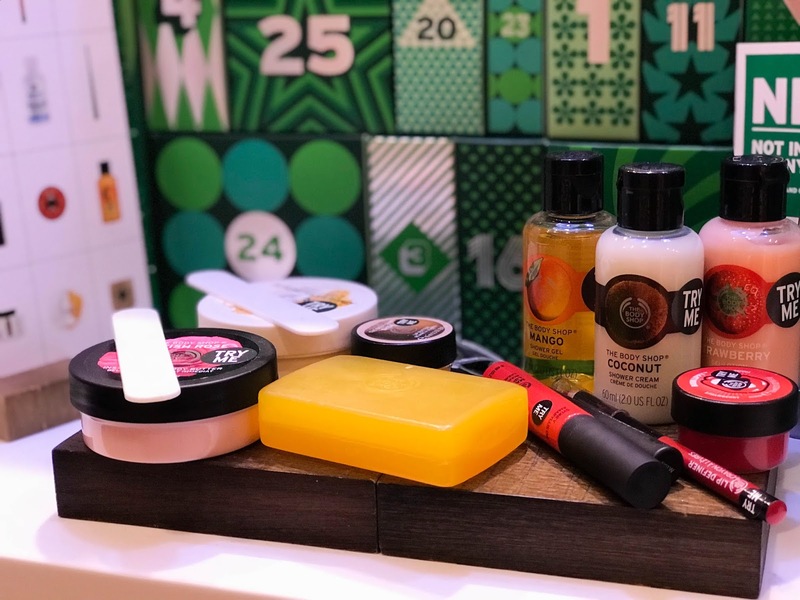 Something fairly new to The Body Shop has to be one of their most adorable releases yet. 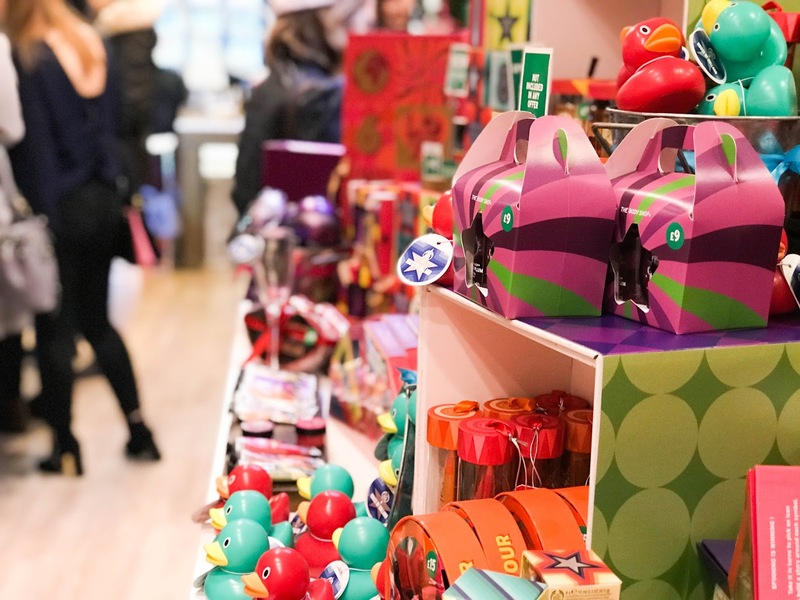 They have brought out their own take on mini bath bombs, fizzers and bubble bars which are sold like pick 'n' mix sweets. You even get a little bag to put them in! They are £1.50 each and they smell good enough to eat. My personal favourites were the classic Strawberry, Moringa and the Coconut which I actually picked up the week before this! I can't wait to try them in the bath! During the course of the evening, we had the change to mingle and do a variety of different activities. We could play hook-a-duck with the chance to win some prizes (it was so funny trying to watch Georgia do this!) and near the end of the evening, we got the chance to personalise our very own body butter. 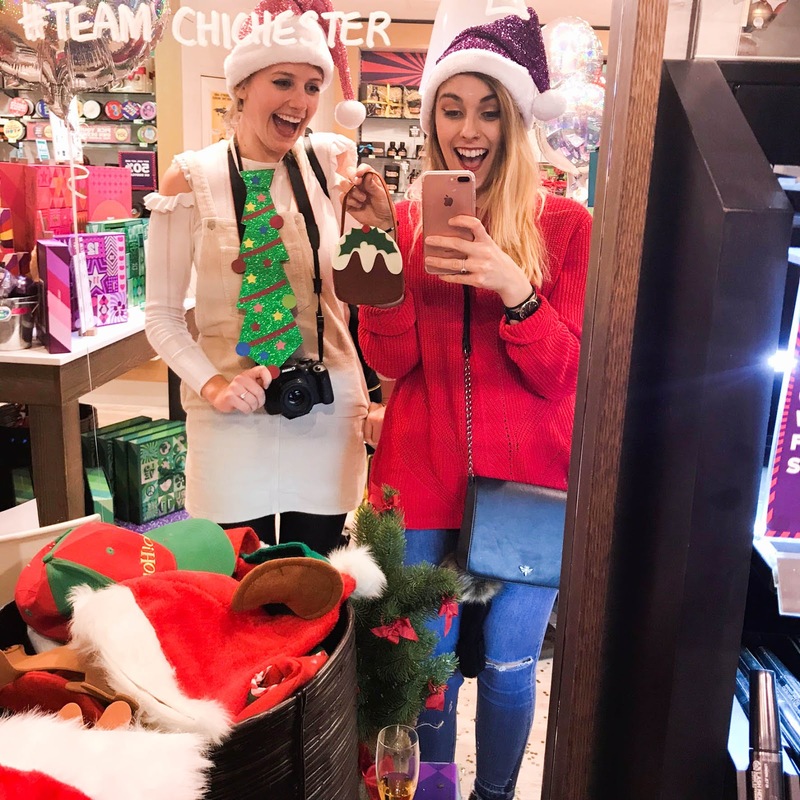 This is a quirky new touch to some stores and such a great idea for a present if you want to go that extra mile for someone! For my body butter, I chose the Frosted Plum scent which I am actually obsessed with at the moment. As for the design, there was a range of puns to choose from and a festive section. It only seemed right to go with the Christmas theme, so I chose 'Spread The Joy' and got my name added onto it because I literally couldn't think of anything! I picked this because it's a nice little pick-me-up phrase and everyone loves a bit of positivity, right? 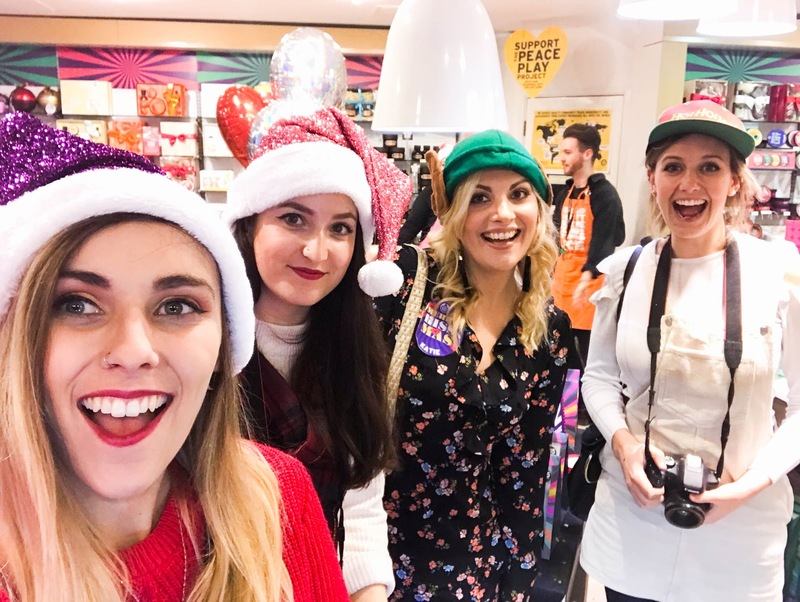 Towards the end of the event, it got a little less busy and we got the chance to properly look around the store (and sniff out the Christmas props for some laughs!). 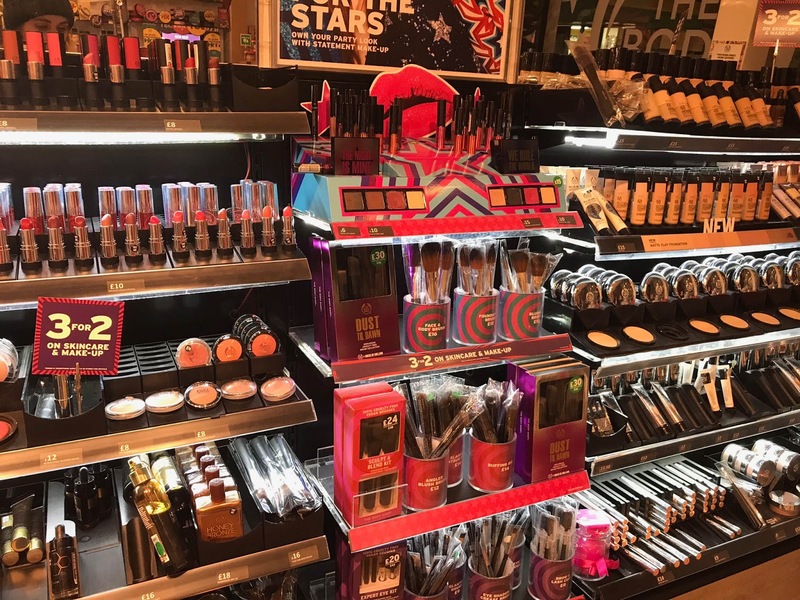 We focussed a lot on the makeup and gifting, particularly the limited edition House Of Holland sets. 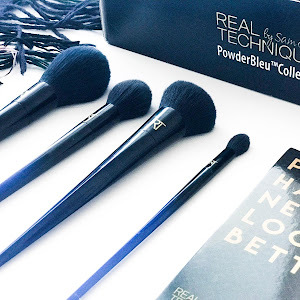 I loved the palettes, brush sets and particularly the star stamp eyeliner pen. This took me straight back to my emo days and I would literally have no shame in bringing that back for a day or two. I had an absolute blast at the event - big thanks to Katie and James for organising the whole thing! The staff were fantastic throughout the evening too and really did their best in making our night a fun one! Thank you so much The Body Shop! Have you tried any of their new products recently? This event looked awesome! :) I love The Body Shop, so I am glad you had lots of fun! Your blog is so colorful, keep up the great work!